Click here to follow all rest of the Woman’s Day RA story! I didn’t want to take Rheumatoid Arthritis to the beach with me! I went to the beach the other day. We tried to take a day off from all of our vocational and avocational activities. We hardly ever take time off from school or work. Many of you know that the Rheumatoid Arthritis Warrior website is also hard work – several hours per day. Of course, we left the computer at home. But, I didn’t even bring a notebook! And I said, “No camera either. 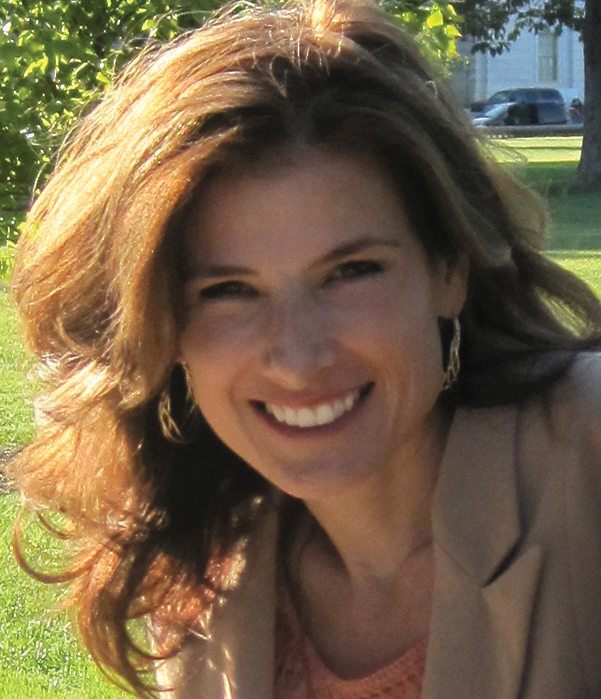 I‘ll be tempted to get to work.” I tried to leave the Rheumatoid Arthritis at home too. I ate a good breakfast and took a big dose of Advil. Woman’s Day magazines have been piling up around here since I started the blog. My daughters read them. But, I just have no time… So, I took the last 3 issues with me to the beach to catch up. It would be a work-free zone: just me, my CD player, my iced tea, and my kids. Of course, you know RA won’t stay away. But sometimes, if you get really comfortable, sit very still, and get mentally absorbed in something, for a few minutes you can forget about it. That was the idea anyway. I have read so many stories in this magazine about women who triumph over illness and adversity. About women who have a hard time getting a valid diagnosis and barely survive horrible diseases… And THIS is what they have to contribute to our campaign against ignorance of RA? They made it sound like a minimal case of the flu. Anyone reading that article would be shocked to hear your stories, to read the emails I get, to look over the comments on this blog, or see the messages you leave through the Facebook page. It sounds like a different disease. I got an urge to take a red pen to that page. I would like to correct every misconception and inaccuracy and send it in to their editors for inspection. I still might. I will not be dissecting each misstatement in this post. However, I will spend the rest of my life getting the correct info about Rheumatoid Arthritis known. One by one, I will address each thing. I will not stop until Rheumatoid Arthritis is understood or cured for good, whichever comes first. Stay tuned. What else can we do about inaccurate Rheumatoid Arthritis news? I flipped through the front pages to look for a letter to the editor section. No letters from readers department? Maybe they want folks to reply on the net, I figured. So, with some searching I found the internet version of the article and left my comment. The comments are on two pages and you can add yours. Also, you can “Rate the story” by clicking on the stars. I hope one star means “Please try harder.” Click here to see it. Click here to follow the rest of the Woman’s Day RA story! NOTE: Woman’s Day has removed the original article with its non-apology. You can see two screenshots of the original article at the bottom of this page – click here. There is also a photograph of the print version of that issue of Woman’s Day here – click here. But, I am NOT giving up. I added my 2 cents worth, wanted to write more, but found myself getting too upset. This is one of those fluff pieces I swear is paid for by the major pharma companies. However, I am happy you got to the beach and could enjoy some time with your family. That is what is most important in life. Making memories to share for years and years. Kelly, I wrote a blog about my best friend and the miracle they had. Hope you will read it. I follow your blog regularly, which I think is great. 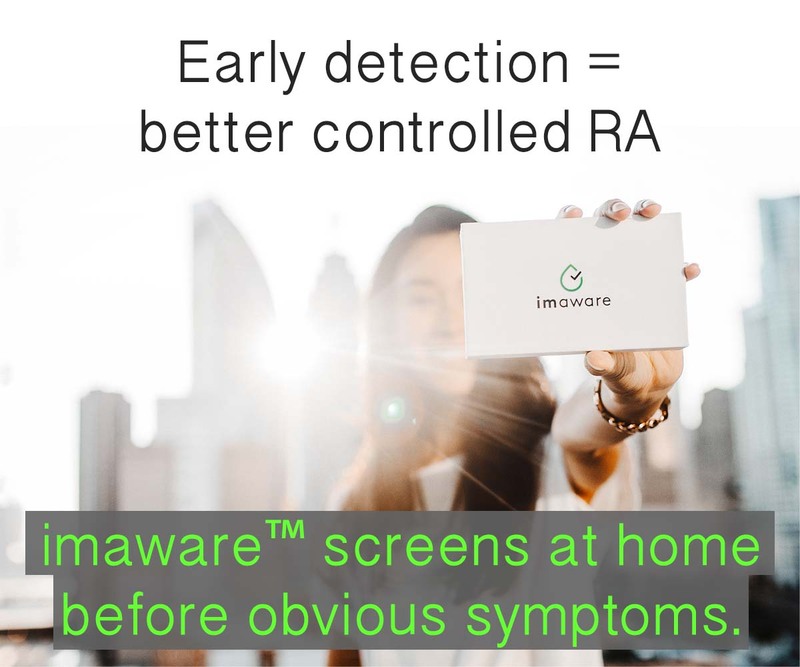 Because of your commitment to raising awareness about RA, I thought you might interested in learning about a new program that we will be launching focused on RA. Good for you!! Last I checked there were about 40 replies on there – many of which were a result of this article. Be sure you read part 2. I’ve written several emails to ask the Arthritis Foundation to comment on Woman’s Day’s position. They do not reply. It seems as if media have dug in their heels & said that their version of RA is real & we are just whining. I read articles which mis-represent RA every day. I can’t help but think that’s related to experiences like I just wrote about here. The way Woman’s day put RA is like having a bad case of acne that leaves some pot marks. It’s bad but you can deal with it. RA shortens persons by 10-15 years from the complications that damage the heart and other organs. Our immune systems are literally attacking our bodies like ninjas in the night. When I talk to people about RA they say oh yea my hand hurts when it rains, or see my knuckles I have arthritis. They look at me, no disfigured joints and they think I am making this all up. I have Anemia of Chronic Illness, it is part of the RA. before you say to take more iron you need to know that taking more iron does nothing for this type of anemia. It is treated with bone marrow transplants and transfusion not a simple iron tablet. Fashion hasn’t past RA by either, we have special shoes. Google “arthritis shoes” then look for the RA shoe section. You will be surprised at the market for RA shoes. Yes we have to have special shoes do to the changes in our skin and shape of our feet. The changes are quite different from Osteoarthritis which affect the bones in the toes. Think of it this way, there are different types of lumps in the breast. Some are benign and annoying and then there is cancer. Think of the RA and Osteoarthritis the same way. Osteoarthritis hurts your joints and is annoying and RA hurts your muscles, tendons, and organs, and your heart is one of those muscles that is affected. The mortality rate is 10-15 years shorter life span than a non-RA person. I think that changes the game plan just a tad don’t you think? We woman are networking on social sites, working to find a commonality in our diagnosis and more importantly to be recognized as having an autoimmune that is real and very complicated to treat. Sue, your reply to Woman’s Day is tremendous! I have the same anemia & several other RA “companion diagnoses” – you are so right! We don’t even mention all these other diagnoses we have that go with it because we are so used to it. Maybe that would help them get a clue. I haven’t been successful at getting Woman’s Day to read my website, so I hope you sent your reply too them directly also. So far I have emailed, called, and faxed them with no reply yet. Below the post is info on how to do that for anyone who wants to. Thanks for taking 48 years of pain, suffering, immobility, joint replacement, joint fusions, job loss, countless doctor and hospital visits, and inability to participate in, well, basically in life in general and turning it into nothing but a whine over a disease that just makes you feel stiff. I am furious over your insensitivity and will never read your magazine again! I am so used to people saying “Oh, you just have arthritis”. There is no understanding unless you have or live with someone with RA. No doctor told me about the fatigue I had to learn it first hand. Definetly the name is a big problem. Anyway we all know the problems. Wow! Patience White needs to be fired!! She really makes the Arthritis Foundation look bad! This fight is not over – far from it. Woman’s Day did re-visit RA in 2011 and it was no better. In searching Google, I see that some forums posted this information in the days and weeks after my original post July 15, 2009. The magazine came out a few weeks before that, so this is now 2.5 years we’ve been fighting this battle. However, it is not too late. If you have a blog or forum, please consider posting this link and the link to the video appeal to WD to interview real RA patients. Unfortunately, a popular medical magazine has practically duplicated WD’s errors. This will be featured on an upcoming post, with updates about WD. I’m a bit late to this thread, but didn’t see it at the time as back in 2009, I had yet to be diagnosed with RA. I found your post about the inaccuracies about the WD article very interesting and was eagerly went to WD to find it and read all the responses from REAL RA sufferers, and guess what?! While the “A Note from the Editors” later insert was still added at the end of the article, ALL the comments have been removed – it shows online there are 0 comments! I happen to think that is even more wrong & insulting than the misinformation in the original article. Apparently WD, didn’t appreciate being told What’s What and I guess felt it portrayed then in a bad light, so their solution was to remove all the comments- SHAME!!! When I went to the Women’s Day website there was no article there. Probably better not to have read it. I was diagnosed with RA positively 3 months ago, I have been sick for 2 years. 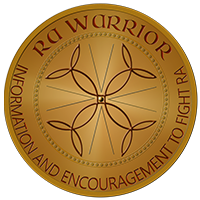 This is my first time on RA Warrior, but so far I have found your information very helpful. Jill, I was told by a reader just a couple of weeks ago that it was still up. But I mentioned it a couple of times publicly so I’m not surprised someone decided “enough is enough” and took it down. I’ll go poke around in the archives to see if the whole issue is missing or just this link. I do have the magazine. And photos of it. And screenshots of the online version – click here for that one.